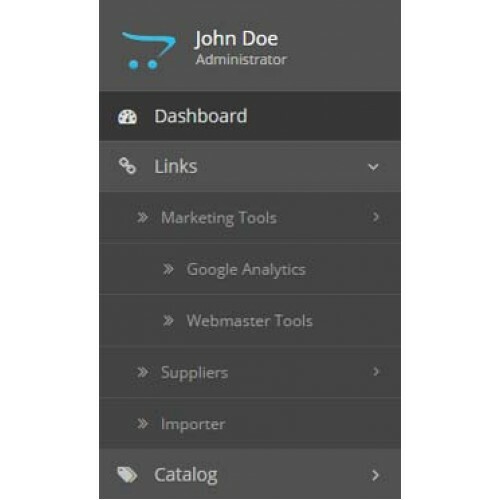 Add links to internal store modules or settings pages. 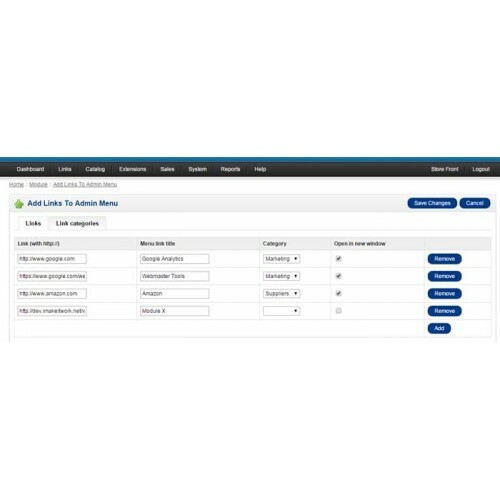 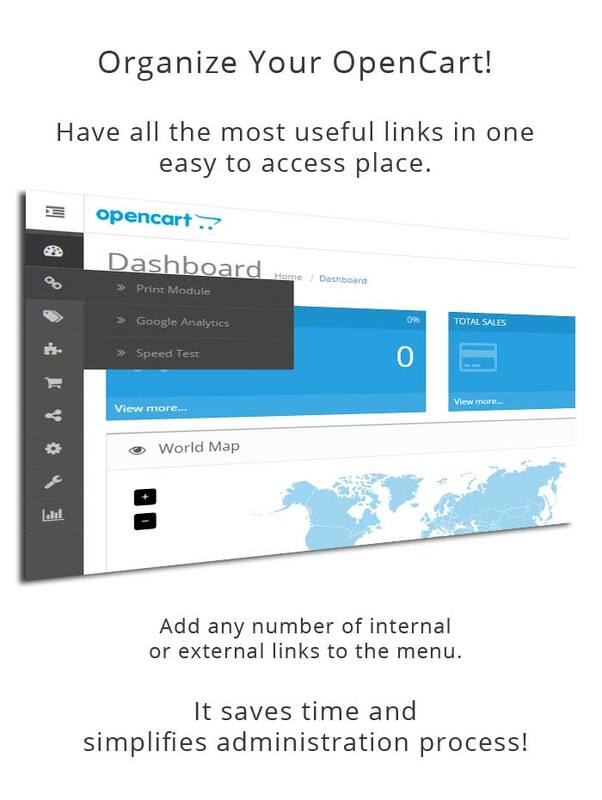 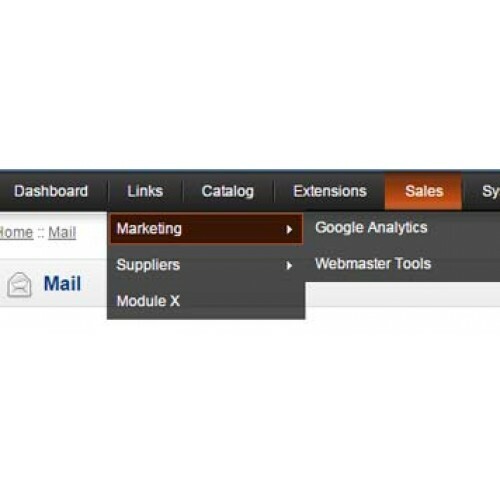 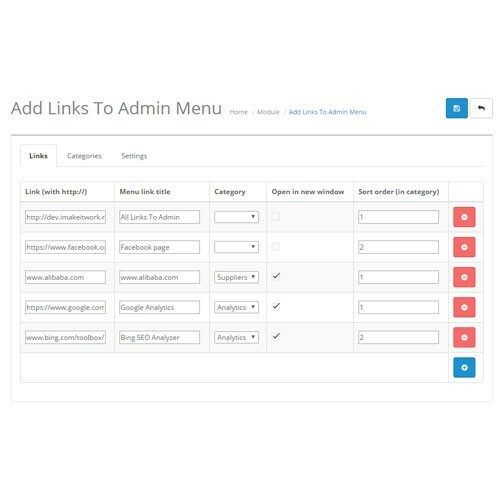 Add links to your suppliers, analytics, social network pages - anything that might be useful for your business. 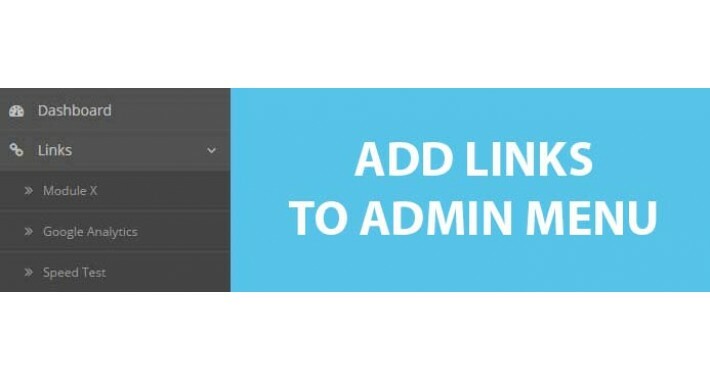 Organize links easily - sort them by categories or give them unique order numbers.